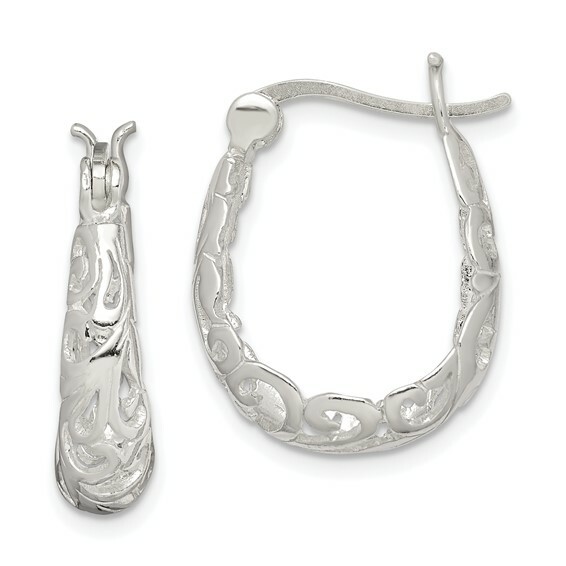 Filigree oval hoop earrings are made of sterling silver. Measures 3/4 inches tall by 11/16 inches wide. Weight:2.75 grams.